This week, the Broadway production of The Lion King celebrated a major milestone. On March 14 at 2:00 PM, The Lion King played its 5,960th performance and officially became the sixth longest-running Broadway musical of all time. The show surpassed Oh, Calcutta!, which previously held the record with 5,959 performances. 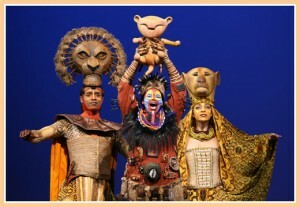 The Lion King currently stars Adam Jacobs, Chaunteé Schuler, Alton Fitzgerald White, Patrick R. Brown, and Tshidi Manye. For more information about the show and to purchase tickets, visit www.DisneyOnBroadway.com.